With so many decisions to make when buying a home, receiving a recommendation from a professional can seem to be just one less thing that needs to be taken care of. But is it really helpful or can it be a nightmare in the making? In the case of a home inspector, you might want to carefully consider your decision to use a realtor recommended home inspector in lieu of researching and using an inspector of your choosing. 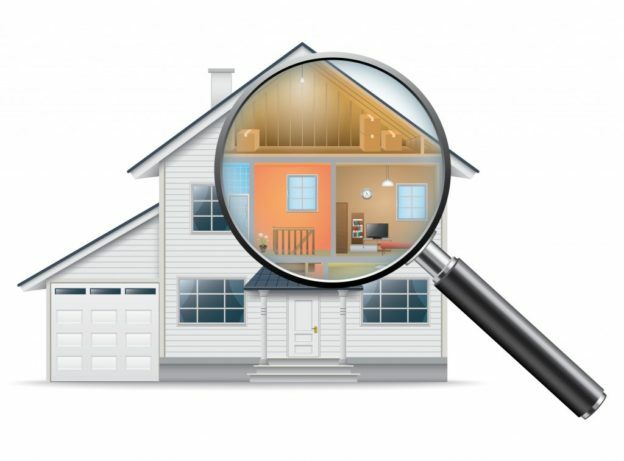 The purpose of a home inspector is to provide a prospective home buyer with an objective evaluation of the condition of a property. There should be no pecuniary interest in the outcome of an inspection because that might engender a biased report to the home buyer. Even if a home inspector is a sole proprietor, he or she is licensed and regulated by the state and should be a member of NACHI, ASHI, or a similar professional home inspection organization. If your prospective home inspector isn’t a member of one of these, you might want to look for another home inspector. Although many home inspectors are members of IHINA, or Independent Home Inspectors of North America, and sign a pledge that they will not actively solicit real estate agents, many haven’t signed the pledge. If a home inspection company has brochures in a realtor’s office or is on their preferred provider list, they may provide you with a more positive report on your home than it warrants. State regulation exists in order to protect the consumer; it provides consistency and credibility, ensures competence and professionalism, and maintains a code of ethics that must be adhered to in order to remain licensed. A home inspector can make or break a sale so he or she should have the highest integrity and skill level. Many home inspectors feel that the practice of using a realtor recommended home inspector threatens the integrity of the home inspection profession and lowers its integrity. The most successful inspectors are often those who use referrals from real estate agents which lends credibility to the conflict of interest of this relationship. Like home inspectors, real estate agents have a code of ethics to which they should adhere, whether they’re members of the National Association of Realtors, National Association of Exclusive Buyer Agents, or any other realtor-centered, professional organization. A common theme in any realtor code of ethics is to conduct the sale in a professional manner that is dedicated to the best interests of the client and free of practices that would bring discredit to the profession. A good real estate agent should always recommend that their clients obtain home inspections; it’s a good way to ensure that a building is sound and without issues that can become costly in the future. However, a good real estate agent shouldn’t recommend a specific home inspector or endeavor to steer the client toward a specific home inspector. If the agent uses phrases such as “We’ve always had good reports from him” or “We do a lot of business with him” then you may not receive the objective and unbiased report that you’re paying for. If a realtor tries to steer you away from using a specific inspector with phrases such as “We always have a problem with that inspector” or “He takes too long or costs too much” then it may be that the inspector is very conscientious. He may provide reports that are less positive and more realistic than the realtor wants. If your agent uses the phrase “deal killer” in reference to a home inspector, it may be the result of the inspector providing accurate, unbiased information in his report. Negative information, even though it’s accurate, may reveal issues with a home that can cause the buyer to cancel the sale. A realtor should be motivated by professionalism and altruism rather than avarice but sometimes this isn’t the case. If your realtor says a specific inspector is a deal breaker, ask for details before accepting the realtor’s statement at face value. Sometimes, real estate agents who are less than completely scrupulous may engage in kickbacks, referral bonuses, and other types of incentives in order to close a sale. Although this is unethical and illegal, it sometimes happens even though laws have been enacted that prohibit real estate agents from directly recommending any specific inspector and inspectors from accepting unethical referrals. Sometimes, a realtor will attempt to negotiate with a home inspector by referring more business to the home inspector in exchange for positive results on the inspection. This is patently unscrupulous and is in the best interests of neither the inspector nor the home buyer. An inspector who certifies a building as sound can incur a future liability should the report neglect to include existing problems with the building. Ultimately, the buyer is in charge of selecting a home inspector but the real estate agent can either encourage or discourage the selection of a specific home inspector. If your agent is strongly urging your selection of a home inspector, you should probably use another one. You should meet with the inspector beforehand and if you don’t feel comfortable with him or her, then find another inspector. Often, your nagging feeling that something isn’t just right is accurate. It’s your home and your financial future. If your inspector provides a glowing report on your prospective home when, in fact, there’s a cracked slab and water damage for example, you’re the one who will be stuck with the repair bills. If you need a home inspector, ask for a recommendation from any contractor friends or acquaintances who have no financial interest in your home. Check with the state licensing board and the Better Business Bureau to determine whether complaints have been lodged against a particular inspector. Your home inspector works for you not your real estate agent and you are the one who’s paying his or her fee. Using the skill and expertise of a home inspector is one of the wisest choices you can make when buying a home. Selecting a home inspector who will provide an accurate, unbiased report is as essential as having the inspection done. 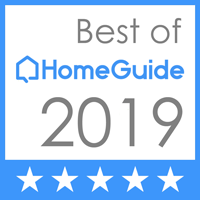 This entry was posted in Home Inspection Information on August 21, 2018 by wpadmin.